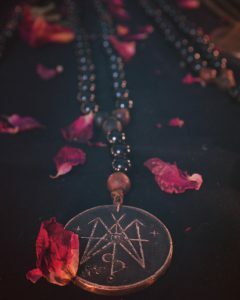 Blessed under the cold moon of the eleventh November night, these hand-made rosaries by Soth Arts are a special offer to followers of Teufelskunst. 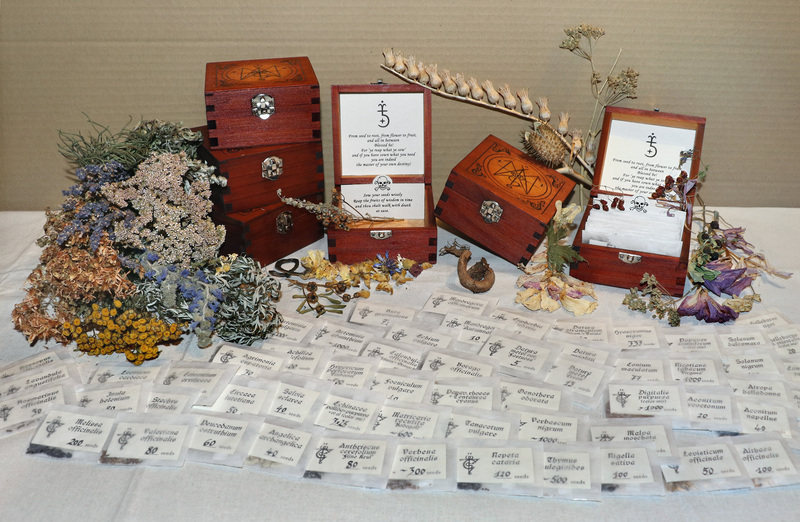 They consist of 58 black and 8 ebony wooden beads and carry one bronze amulet cast by our blacksmith. 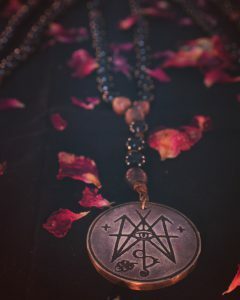 Please note, each amulet is a little different from the other since small variations are part of the manufacturing process. 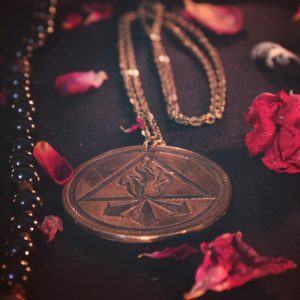 The crossroad seal on the amulet is also called “Sigillum Major” or “greater seed sowing seal”, as it is both rooted in the work with plants as well as the rituals performed at different crossroads. 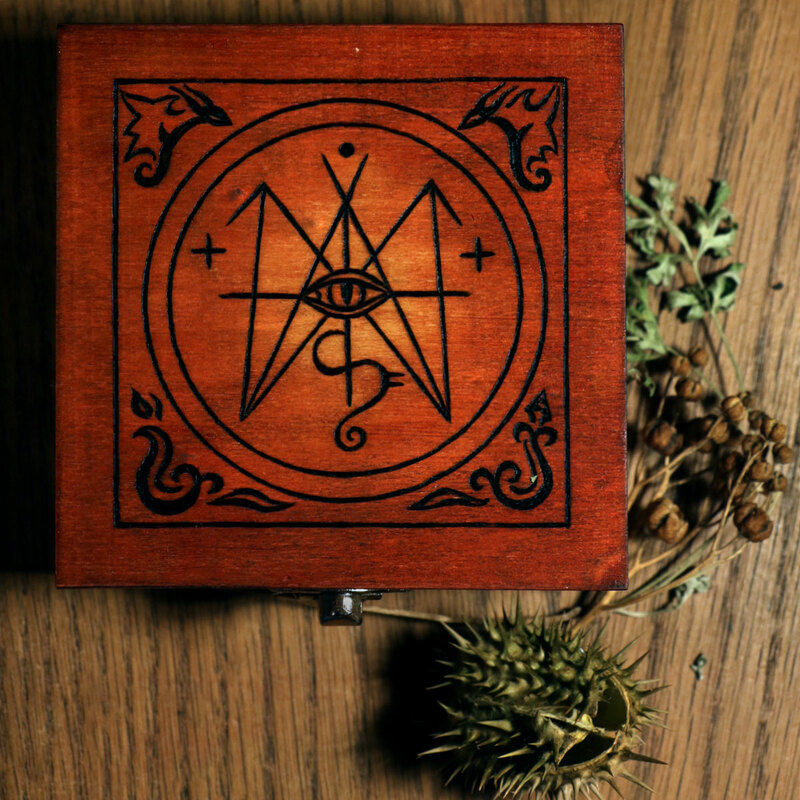 A closer look reveals the horned cross or witches’ stang and a non-human eye at its center, underlining the magician’s connection to the wild and untamed world. The rosary and amulet should thus be worn hidden from the mundane eyes of man. 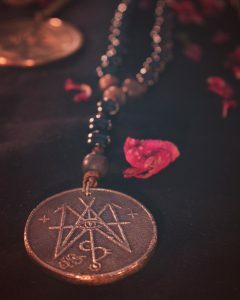 It may as such be employed as an empowering tool for the witch as well as a protection amulet against the “evil eye” and the manipulative efforts of other people. 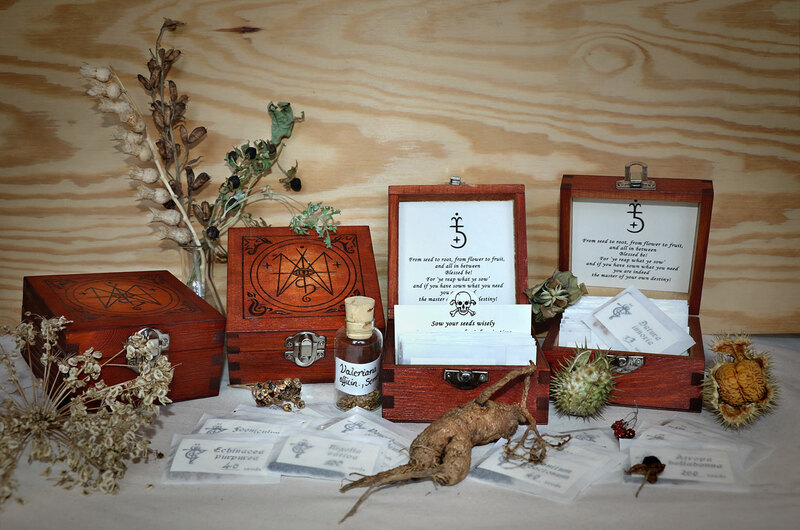 It can also be utilized when ritually working with the spirits and guardians of plants and trees. Within a religious context the rosarium = “crown of roses” or “garland of roses” is the name of a prayer used in the Catholic church and also applies to the string of prayer beads used for counting the component prayers. A similar purpose is found with the so-called witches’ ladder, which consists of threads, hair or feathers tied by a peculiar number of knots into which are whispered spells. The Teufelskunst rosaries are supplied as a lasting magical talisman to those, who feel a deeper connection with the work presented here. An empowering herbal blend to be used as an incense or for infusing an ablution bath is included with your purchase.